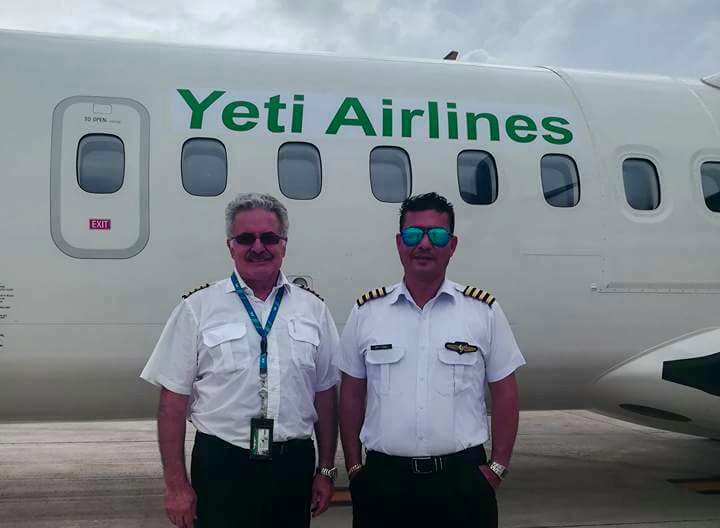 One of the oldest as well as most renowned domestic flight operators of Nepal, Yeti Airlines is all set for welcoming its first ever ATR 72-500 series aircraft in its history today. The ATR 72-500 series aircraft is a twin-engine turboprop short-haul regional airliner manufactured jointly by the French-Italian aircraft manufacturer ATR. According to Mr. Bhim Raj Rai, Spokesperson of Yeti, the Airline is all set to land its first ATR 72-500 aircraft today. He also mentioned the aircraft had already landed at Singapore under the command of Yeti Air Crews and will be ferried from Singapore to Kathmandu. It has been believed that if the weather supports the crew members then it is sure that ATR 72 will touch the runway of Tribhuvan International Airport, Kathmandu in between 11:30 AM to 1:00 PM. The tremendous increase in the number of passengers in domestic air market has encouraged Yeti to add ATR 72-500 to its fleet reported Mr. Rai. He also added that the entire aviation industry is currently adopting advanced aircraft for domestic operation in Nepal so; Yeti too had to take a step towards advancement to satisfy the passengers with comfort and compete for the domestic aviation market in Nepal.